Mind on Movies wants to offer you passes for Spider-Man: Homecoming, on Wednesday June 28th, 2017 in Select Cities. A young Peter Parker/Spider-Man (Tom Holland), who made his sensational debut in Captain America: Civil War, begins to navigate his newfound identity as the web-slinging super hero in Spider-Man: Homecoming. 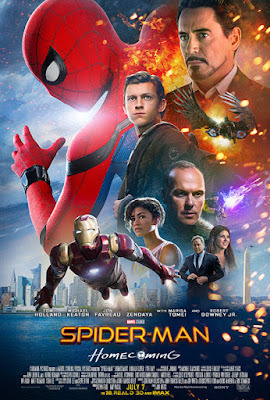 Thrilled by his experience with the Avengers, Peter returns home, where he lives with his Aunt May (Marisa Tomei), under the watchful eye of his new mentor Tony Stark (Robert Downey Jr.).